Looking for the best fun games and fun apps for your iPhone/iPad ? Here you can see a list of the best fun apps for your iDevice that can entertain you and your family members. Here we’ve listed here some fun games and fun apps for your iDevice. 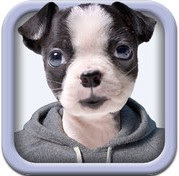 Try these funny apps on your iPhone or iPad. 1. 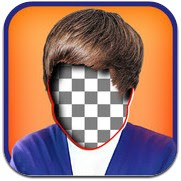 Justaposer ( iPhone ) – Justaposer is great fun app that lets you combine multiple photos to creative and fun photos. 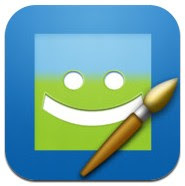 Great app that comes with many fun photo effects, picture editing options , social sharing and many other features. You can install this fun app to create creative and fun photos of your friends and family members and share them on your favourite social networks such as Facebook, Twitter or Flickr. 2. Morfo ( iPhone & iPad ) – Very interesting app for iOS users that lets you turn your photos into 3d talking character. Awesome app that comes with very unique feature which lets you turn your friend’s face into talking 3D videos and you can also add different types of voices and makeups. The app also helps you share your created videos with your friends Facebook. Morfo is available free of cost on the Appstore and if you want to access more themes and funny materials, you can unlock in app purchases. 3. Talking Tom Cat 2 ( iPhone ) – One of the most popular fun games on the app store that can be installed free of cost on your iPhone. Tom Cat is a great funny game that can entertain everyone by repeating voice in a funny style. This talking tom cat also responds to your touch. Very funny app that is integrated with many funny features , including recording video and sharing them to your social networks. 4. 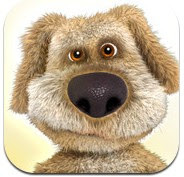 Talking Ben the Dog ( iPhone ) – Talking Ben the Dog is another great fun game by Out Fit 7 who developed Talking Tom Cat. 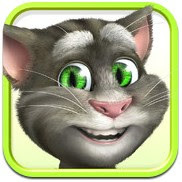 Similar to Talking tom cat but comes with many other funny features. You can use this app as an alternative to talking tom cat. This fun game is also available free of cost on the app store. Ben is a retired chemistry professor who like reading newspaper, eating and drinking. You can talk to him and record the conversation to share with your friends. Great fun game for iPhone users. 5. Pho.to Lab ( iPhone & iPad ) – Pho.to is one of the best fun photo apps on the app store that can be installed free of cost on your iPhone or iPad. This app comes with tons of image effects, fun photo montages, stylish & beautiful photo frames , fun face effects and background effects. Very useful fun image editor that lets you create perfect fun photos quickly from your iPhone or iPad and share your created funny photos with your friends on social networks. 6. 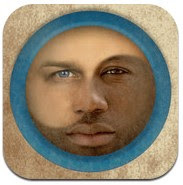 Place My Face ( iPhone & iPad ) – Place My Face is one of the best ways to create funny photos quickly from your iPhone or iPad. This app helps you create instantly funny photos with pre made templates and fun photo effects. Comes with many useful fun photo tools and social sharing option. 7. MixBooth ( iPhone & iPad ) – One of the best ways to generate a perfect new face by mixing two photos. This app helps you to create realistic new face quickly by using two different face. The app also comes with some pre loaded faces which can be used to create funny faces instantly with your iDevice.